Outdoor / indoor lighting has been with us (by virtue of fire) for centuries. Whale and coal oil took us through combustion-based fixtures but were replaced by natural gas and the incidence of structure fires remained high. Edison found the secret to produce incandescent bulbs and the race was on to wire America so electricity could replace combustion-based lighting. 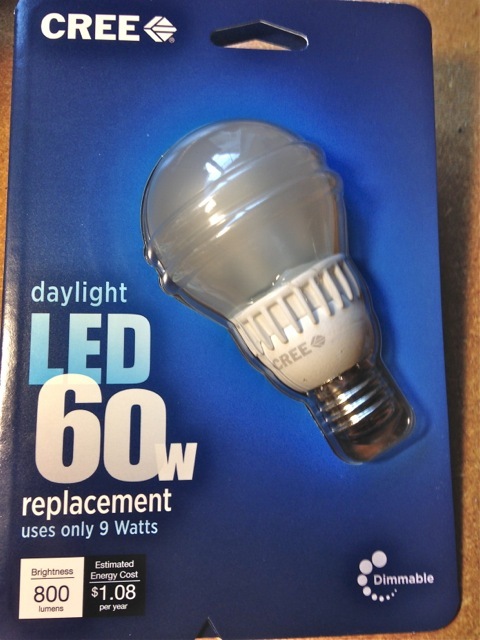 Today (though some decry it) the government has largely regulated against the old, standard, incandescent bulb. 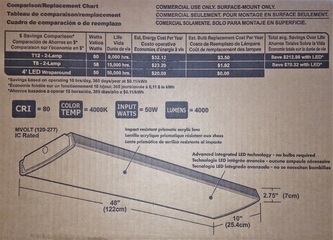 Incandescent lamps (or luminaires) are still produced and sold, but they are specialty items, often associated with floodlight applications and PAR lamps. Two measures of lighting effectiveness have come (pardon the pun) out of the shadows in the last twenty years as the public gets more concerned with its lighting practices. They are lighting power (lumens) and spectral signature (a Kelvin temperature rating often accompanied by the luminaire's CRI or Color Rendering Index). CRI is a comparison with natural daylight. Lumens are a measure of lighting intensity, but they are more important than ever because we care about energy efficiency. "High Efficacy" lights are those that provide lots of lumens at lower wattage consumption. Spectral quality has not been known by that name, but for the last fifty years just about anyone could tell you that fluorescent light was "cold and somewhat unnatural." 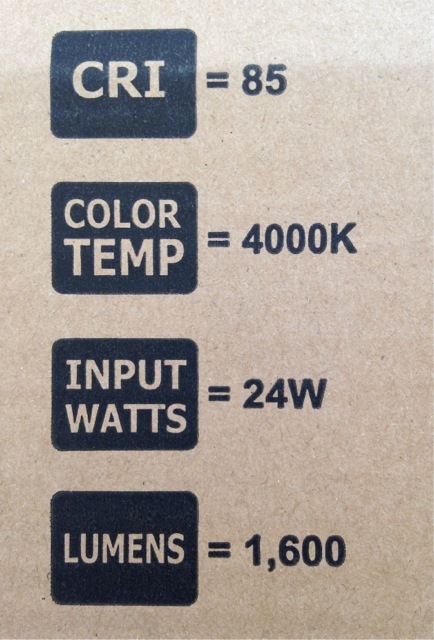 Kelvin temperature equivalencies are compared to the quality of incandescent "warm white" light, and also to natural sunlight (CRI). Kelvin temperatures above 3000° are considered to be more natural. Here's a common luminaire (or lamp) that screws into a socket (in a fixture). That socket is the very common, Edison E26 base. There are sockets on the market both smaller and larger, but they are specialty items like candleabras and parking lot lights. This lamp is marketed as energy efficient and says though it draws 40 watts of power, when compared with a straight, incandescent lamp it's like a 65 watt equivalent. The lighting "power" of this lamp is at the lower left; 630 lumens. So if you want to know about the "efficacy" of this lamp (meaning how good is it for the wattage consumed) that's as simple as dividing 630 L by 40 W. The answer is 15.75 Lumens per Watt. 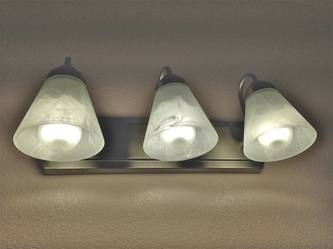 This lamp is powered by a Halogen filament and it is designated as a BR40 flood lamp. As with nearly all floods, it is a PAR lamp, standing for Parabolic Aluminized Reflector. 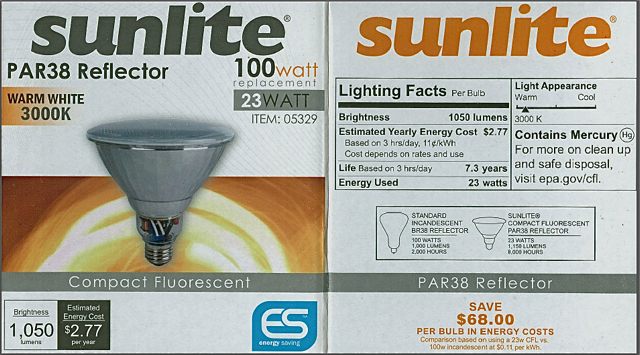 PAR lamps with numbers following (PAR38) means the max width of the lamp is 38 one eighths of an inch (4.75" wide). An oval, green reminder low and on the left tells us this lamp is "dimmable" by current-adjusting dimmer switches in the circuit. Other lamps not so marked can suffer damage and premature failure. 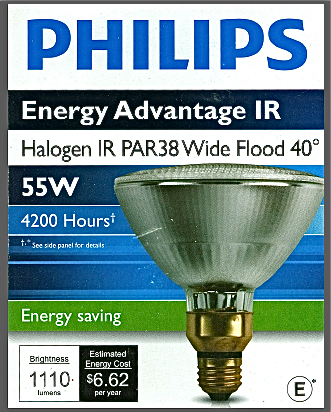 All Halogen and Tungsten filament powered lights are "instant on" and full power. The lamp life at 3,000 hours is relatively good. Here's the diagram showing the CRI of three kinds of lamps. The comparison is made across the visible spectrum (yellow line) represented by full sunlight at noon. Note that the Tungsten filament powered lamp (your straight incandescent lightbulb of yore) gives perhaps the best, overall rendition of the visible light spectrum. Nothing is missing. Not so much in the blue, lots of red, but better balance across the greens and yellows compared to the other types. 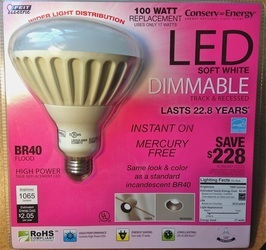 A white, LED lamp is probably next best, but keep in mind this chart does not feature a comparison with fluorescent or compact fluorescent lamps. For those types it may require a bit more looking at their CRIs and Kelvin temperatures. 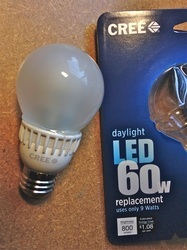 Three shots illustrating the a test-bed and differing amounts of light in the visible spectrum emitted by different CFL lamps. In the bottom example, the yellow part of the spectrum is absent and the blue is highly reduced. The top light has better spectral balance. 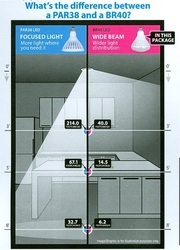 All lamps have compromises (to some degree) in their CRI performance. The challenge is to plan one's lighting to compensate for this. Both the above (and right) are full power, instant "on"
40 seconds to full brightness but otherwise, it's got it all! 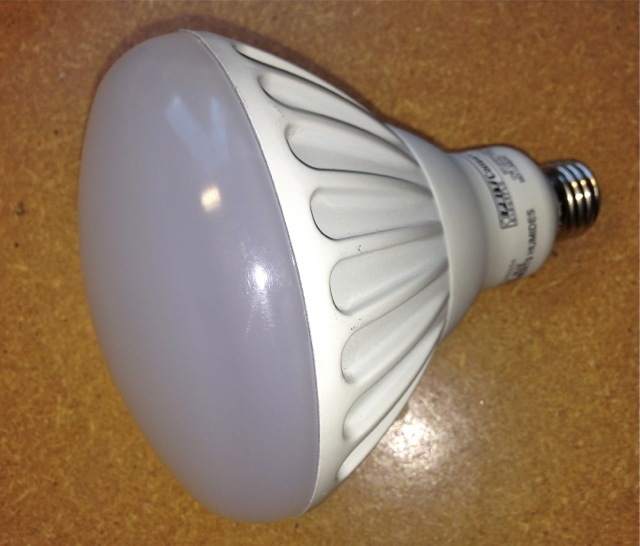 8,000 hour life, dimmable, and 45 Lumens per watt. 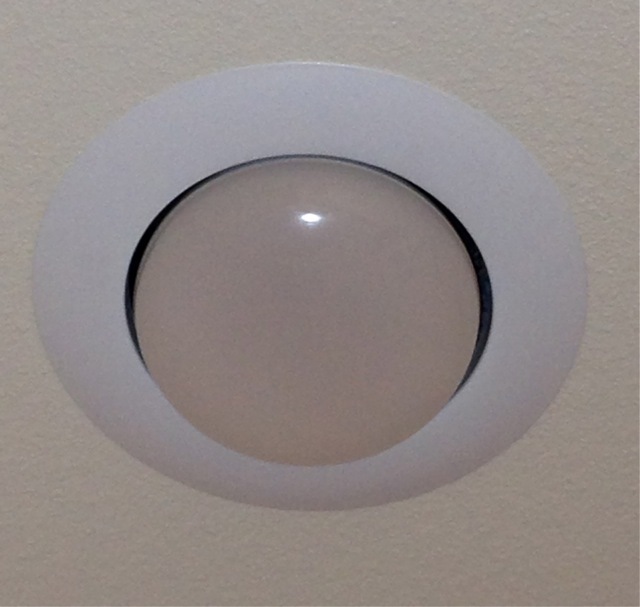 Recessed "downlights" remain the rage. 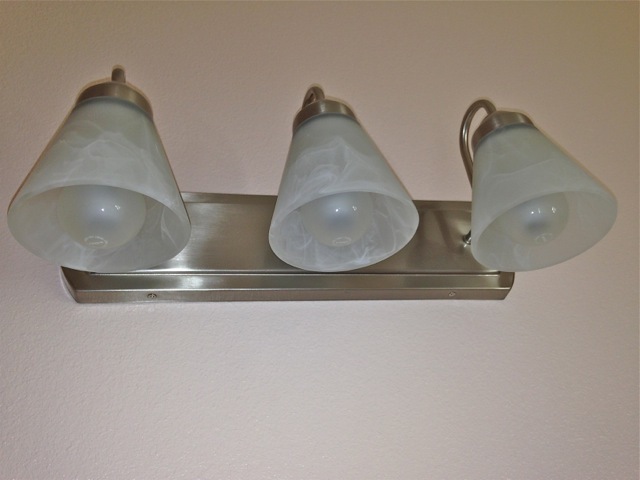 They take some planning but remain more universal than specialty fixtures. And, while we can rave about the long life of an LED compared to any other lamp technology, when it comes to an LED fixture rather than a lamp, please remember that fixtures have to be completely replaced if they die—lamps just need to be removed and replaced. That's a significant difference before you spend on the next two illustrated "fixtures." At nearly 52 lumens per watt, this 35,000 hour Light Emitting Diode disc light is about half as efficient as a straight fluorescent, but is dimmable, okay in damp locations, much longer lived, and (many would say) better looking as a potentially decorative fixture. 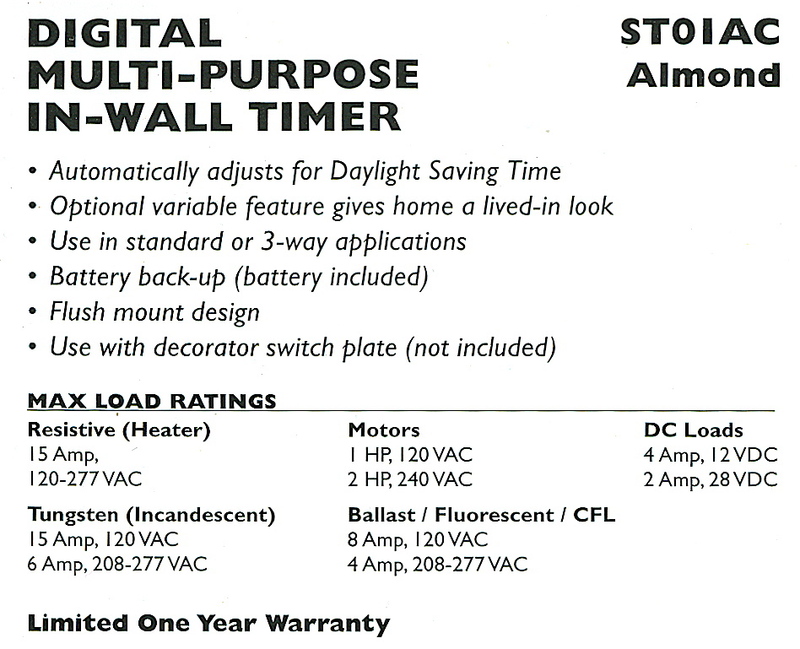 It should be noted that Halogen/Tungsten lamps work fine with dimming switch technology. They will allow off-to-full power by activating a sliding adjustment and will do it fairly evenly. However, even if compact fluorescent lamps and LEDs are marked as dimmable, they tend to behave differently with varied dimming switches. They have a tendency to display a limited adjustment downward from full power and can then suddenly "drop out" to nothing before the slide adjustment reaches the zero position. Some can even threaten the life of the dimming device. 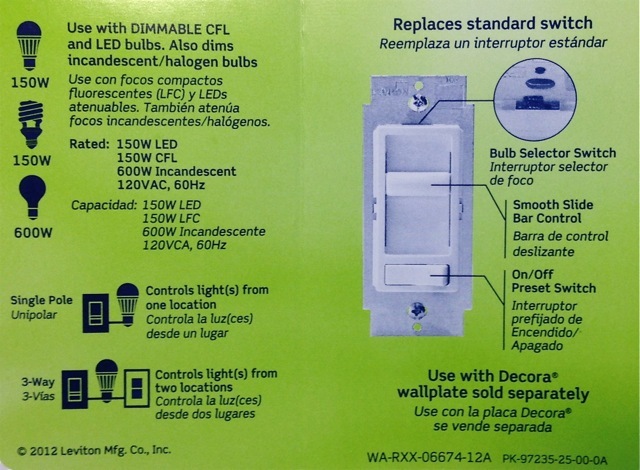 For this reason, manufacturers of dimming switches maintain lists of specific CFL or LED lamps that will work with their equipment. 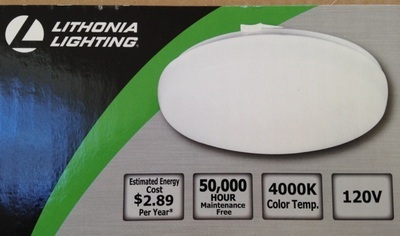 Lighting energy consumption is something that can vary between homeowners by a great degree. Some people turn on all their lights at night and never douse them till bedtime. Zealots burn lights only where they read, converse, or watch T.V., otherwise they navigate by turning on lights as they traverse between living areas. Outside, some people burn lights all night and others forget to turn them off with the same result. If the objective is energy reduction and cost savings, lighting has a more difficult time than HVAC equipment or appliances because those items are thermostat-controlled or direct use consumer driven. When the room's increased temperature has satisfied the thermostat, the equipment is turned off automatically without consumer involvement. This is why lighting is a challenge. Bad habits can push costs way up. And poor logistical deployment of fixtures doesn't help. The solution? At first blush, nobody likes the big, bad government telling you what to do when you're planning a home or retrofit. 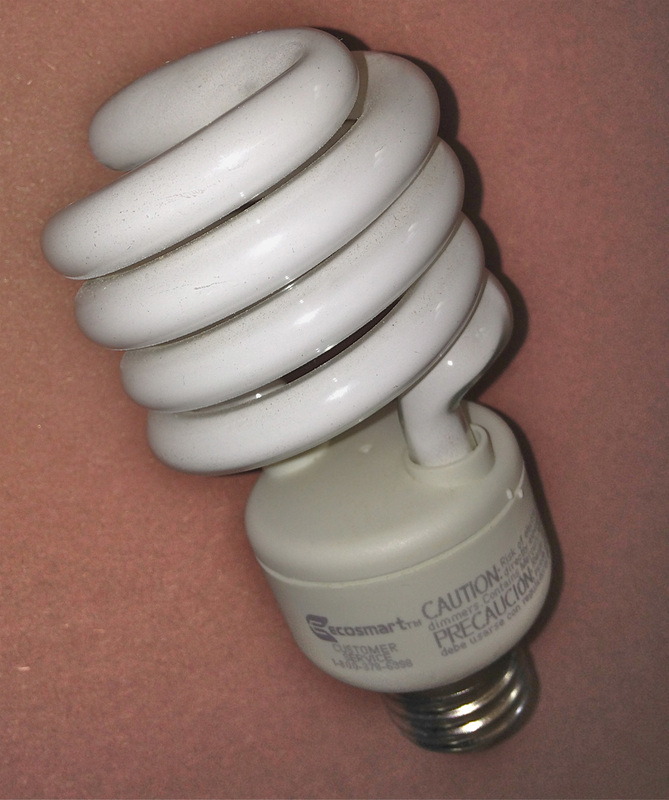 Recently, some citizens made a fuss to Washington claiming their use of incandescent bulbs would be a criminal act! 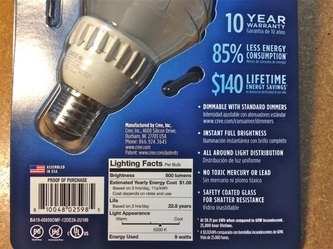 But lighting design can have a similar result to appliance energy standards for manufacturers in previous decades. As mentioned elsewhere on this site, Californians use 50% less electricity per capita than the rest of the country. That saves money. And all one needs to do about lighting is to pay attention at the front end of the building process. 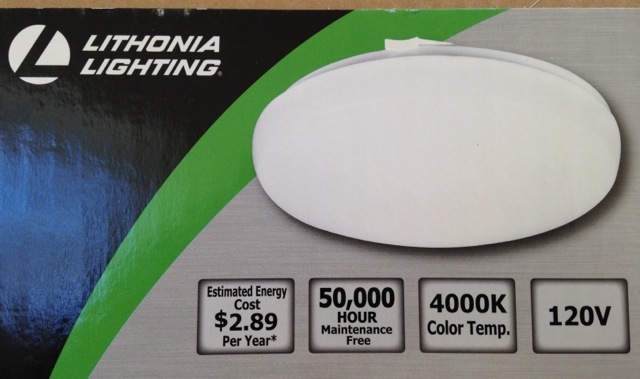 Even daylighting measures can contribute to lighting savings. Interior fixtures to send light from roofs to interior floors are now common. 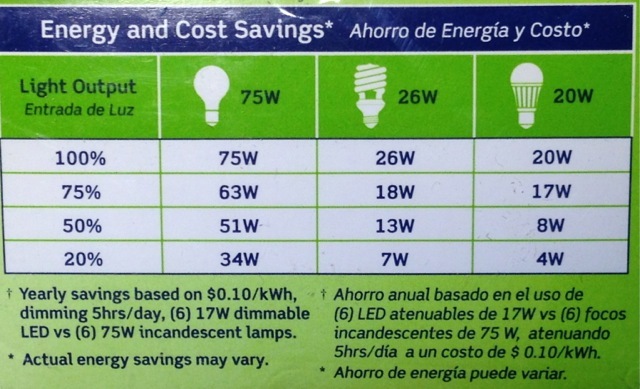 (Above and Right) Notice how the lowest wattage tends to have the longest lamp life and the greatest efficiency. 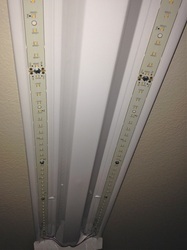 The residential and commercial market has made a big move away from tube-based, industrial looking, pin-ended fluorescents and circ-lines noted for a cold, blue/white light. The "compact" tube in a U-bend and then a spiral took things in a better direction, including a greater range of color signatures from the CFL tubes' internal phosphors. 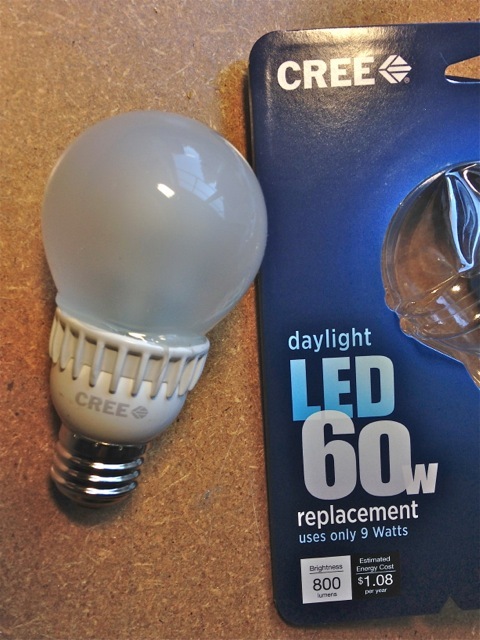 CFLs are now available in a number of configurations, most of which are "screw-in" medium bases for a standard residential lamp fixture's "socket." They have long life, low power draw, and generate very little heat for the light they produce. Prices have plummeted since their introduction. Many come in a pack of six or eight for the same cost as a single lamp in the early years. All fluorescents contain mercury and should be recycled to keep waste workers and homeowners from breathing or skin contact from the tubes' inner content. 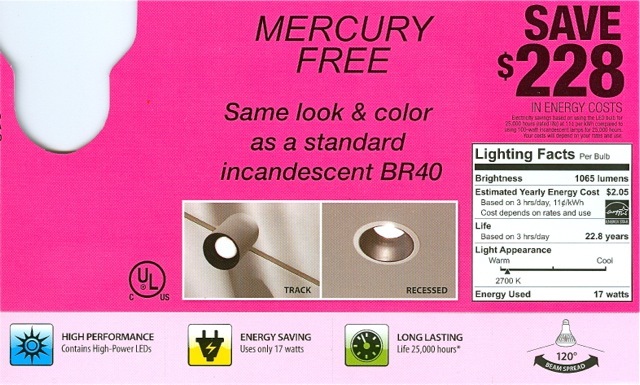 The mercury here is a very small amount, and rest assured, using CFLs reduces coal electric generation (which itself emits large quantities of mercury). 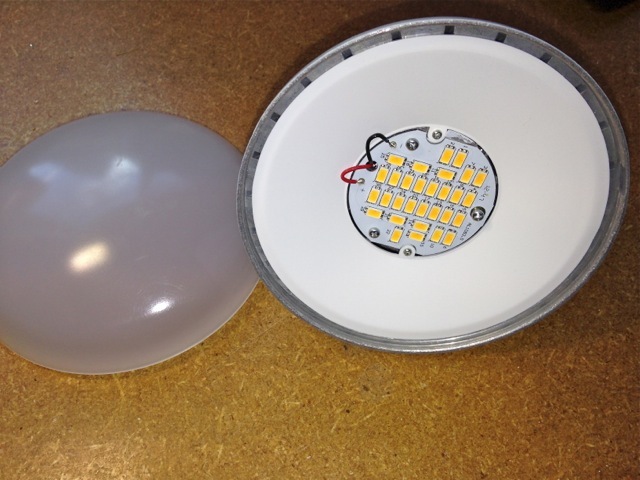 Lamp size number (T-8, or T-12) stands for diameter in 1/8 inches. Therefore, T-12s = 1.5" diameter. The newest fluorescents are T-5s. They are only 5/8" in diameter but are the most efficient in this technology (about 15% greater than T8s). 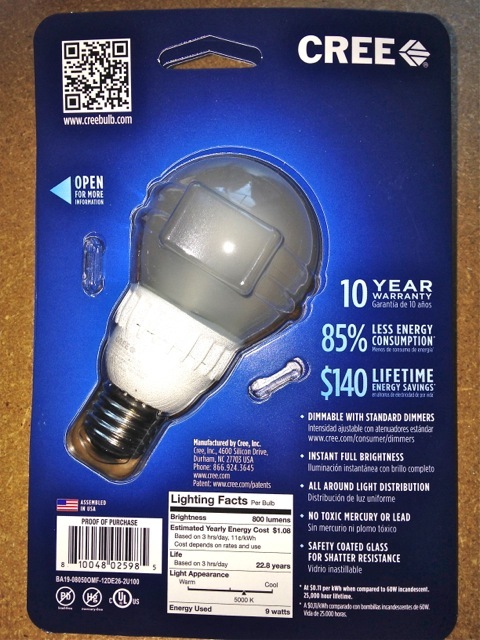 The high output versions are often found in commercial retail (big box) stores with chrome-backed reflectors. But they do tend to run at higher temperatures, and if in an enclosed fixture, this can be a challenge to long life. We used to bathe home interiors in so much light you could do brain surgery in the living room. We've since been to a point of recognizing background lighting as different from task lighting. 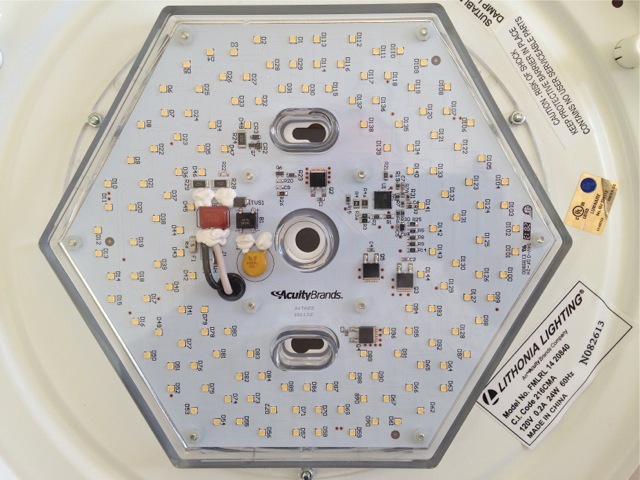 We now are closing in on the use of better lamp efficiency and better deployment of fixtures and features. In short, I believe you have the option to put the Lumen power where and when you need it without being forced to leave it on for too many hours, or changing out existing lamps for some that feel like they generate only one candlepower. The mixing and matching combinations and possibilities are near-endless, and this challenge is heightened by another tendency in America. When a new building is ordered, about to start, or under construction— there is often very little time to "tweak" the design or change one's mind about what goes where. And if all the planning elements are not covered in advance, you may be forced to assume the best and get the worst in terms of energy efficiency. You will pay for the energy to run the building. You have the vested interest in keeping operating costs low. If your architect or builder are not on the same page, how will this story end? Fortunately, there ARE guidelines and rules for energy planning (at least in the regulated state of California, which some like to criticize). Title-24 construction regulations have saved thousands of consumers millions of dollars since the 1970s. More importantly, they have shown the rest of the nation that it can be done, and cost effectively. Lighting is now a part of the building permit process in that state. The wrong kind or amount of lighting not only costs while the lights burn, but can dramatically increase air conditioning costs. The cooling load in most commercial buildings is more about interior lighting than exterior heat. Let's take a look at an excerpt from the CA Title-24 Lighting Design Manual. 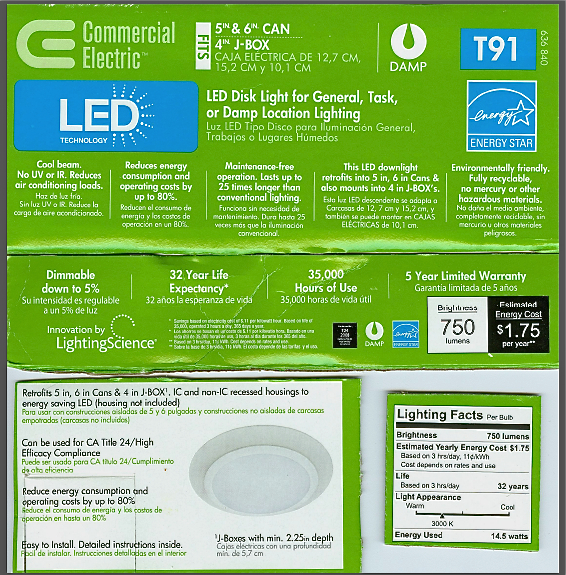 One of a number of alternatives for compliant lighting in kitchens as presented in California's T-24 Lighting Desgin Guide. This design features general, task, and boosted lighting by the use of multiple circuits, multiple switching, and the use of dimming. When seated in the Nook, push the overhead lamp to "full-tilt boogie." Otherwise, leave it off or at a dimmed low to serve as a navigation (or feature) light. Notice the blue check mark. The standard is not built around watts per square foot of space. It just tries to drive design toward under half of the kitchen's lamps being low efficacy (low efficiency in Lumens per watt). You can still use Tungsten-type incandescents as shown on the island. In the Nook, there's a dimmer switch. Most range from 15-100% of full power. 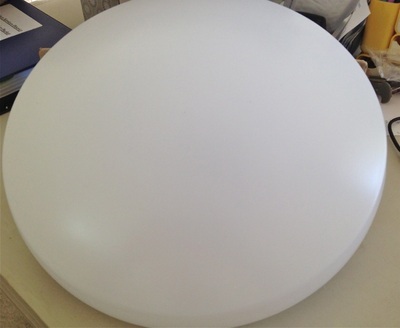 The interior shape of PAR lights will determine whether they perform as floods or spots. 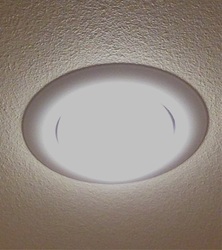 There are also trim rings which can "eyelash" more of the light toward a wall, directionally. For real directional control without track lighting frames, some recessed fixtures contain a gimbaled socket that can direct spot or flood light toward a wall's artwork, for example. (Left) This incandescent lamp features full illumination immediately, it's dimmable, it can be used indoors or outdoors, and it has a generous life for such lamps. Your Web host chose it for his outdoor security lights because of adequate flood light, instantly on, and lower wattage per fixture (110 watts for two lamps). (Below, center) This lamp is not dimmable or instantly full illumination, but it brings nearly identical lumens for less than half the wattage and nearly double the expected life. 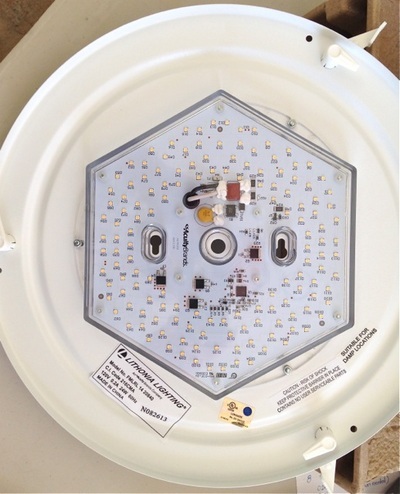 Your Web host chose this lamp for exterior patio long time use cycles and for indoor recessed can lights where dimming is not planned. Any time you're not burning electric lamps (day or night) it's an energy-saving event. The use of daylighting is an attempt to gather outside light to inside locations of the home. With the exception of locating your home in a high-crowned, dense stand of forest, there is usually good opportunity to take advantage of light from above. Modern light tubes are architecturally pleasing both outside and inside, and can improve the character of inside space if by nothing else splashing full-spectrum light around. Various other window styles and treatments can make a difference and they are not new to buildings. Stained glass windows have a history in religious structures that are more art and culture than about energy efficiency. Often, residential use mimicking this is as simple as hanging glasswork inside a window well through which outside sun or light passes through clear glass and then the hanging feature. Who can forget Indiana Jones inside Tanis' map room at 9am? 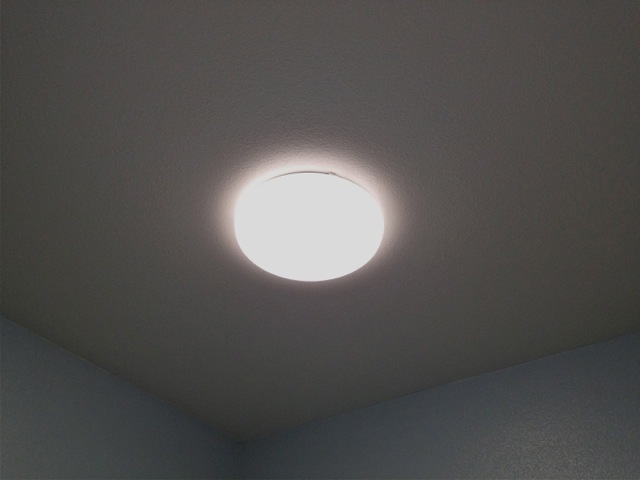 Daylighting can also become as simple as light paint colors on walls and/or ceilings. Those surfaces help bounce light around inside a room. One of Bill's favorites is wide-vaned Venetian blinds in white, intercepting lateral sunlight through windows (where it's too powerful to face) and reflecting it toward the ceiling. It is then scattered about from there. For high clerestory windows, (particularly in passive solar houses) New Mexico designer Steve Baer perfected passive, insulated daylighting shutters that opened a short time after the sun struck their black-painted, expanding gas mechanism and closed them when the mechanism became shaded by lowering sun, or outside objects. 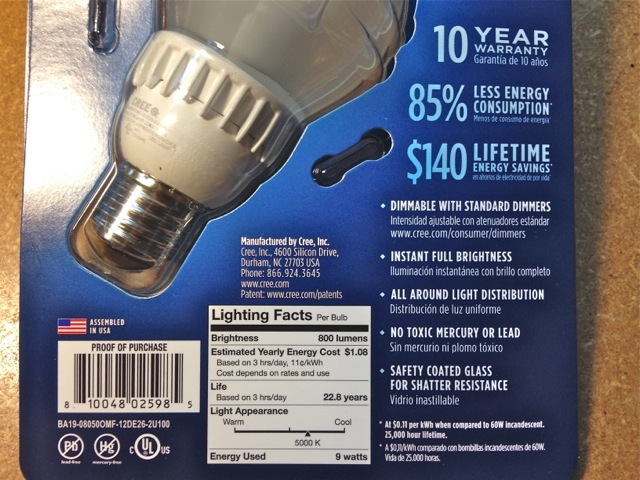 Thus, Baer's product grabbed what outside light was available on sunny days, yet insulated the home against heat loss from these windows when the sun was absent. He succeeded in making a passive device in a solar passive house that needed no human attention or activation (unusual, and no small achievement). A light tube is located deep inside interior space that in this case cannot be illuminated by perimeter windows. Such devices are far more light and energy efficient than old-style skylights, which require large modifications to ceilings and attics. Earlier, it was mentioned that lighting control was more human-dependent than were appliance or HVAC equipment. The exception to that observation is the occupancy sensor and the motion sensor control technologies for inside and outside a home. Occupancy sensors will activate and maintain power to lights (say, in a bathroom) while you are present. But, based on your setting adjustment they will turn lights off a specified period after you leave if you don't turn them off yourself. 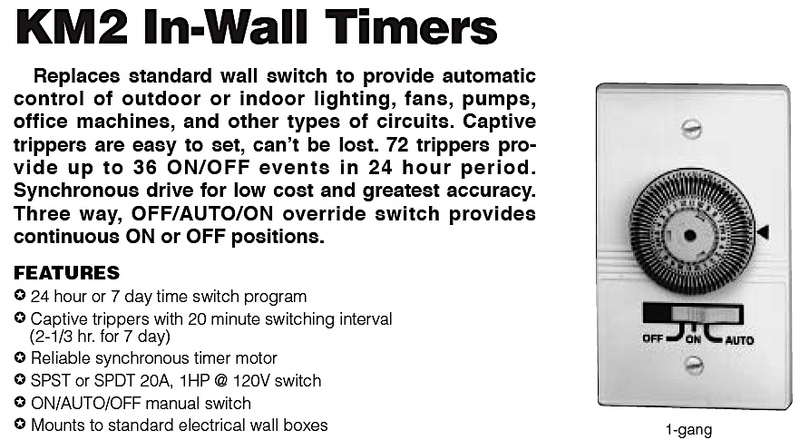 There are many kinds of occupancy sensors; here are the basics. For households, most occupancy sensors use PIR technology. That stands for Passive, Infrared sensing. As long as your "heat signature" is different enough from that of surrounding walls, etc., the circuit will remain energized. If you depart a room with occupancy sensor, that difference will cease, and a timer will shut off power in say, one minute (but this setting is adjustable, as is the sensitivity of the device). 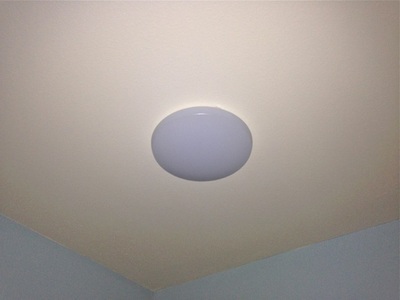 This particular fixture is Energy Star rated if the two lamps are 120 watt each, or less. 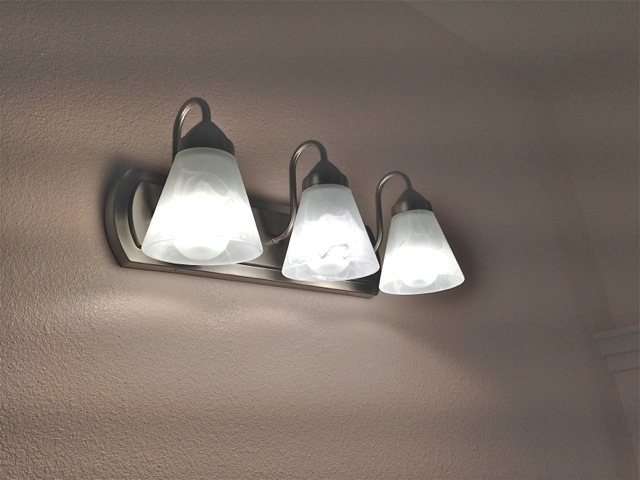 Compact fluorescent PAR lamps are not appropriate, as they take too long to reach full power, and would be better suited to a non-motion activated fixture in a patio area where your use would last much longer than 10 minutes. Basically, the device has "got you covered" unless you crawl past, just underneath the sensor. The most common household sensors read an arc of 150° laterally. Some are available to cover 180°. 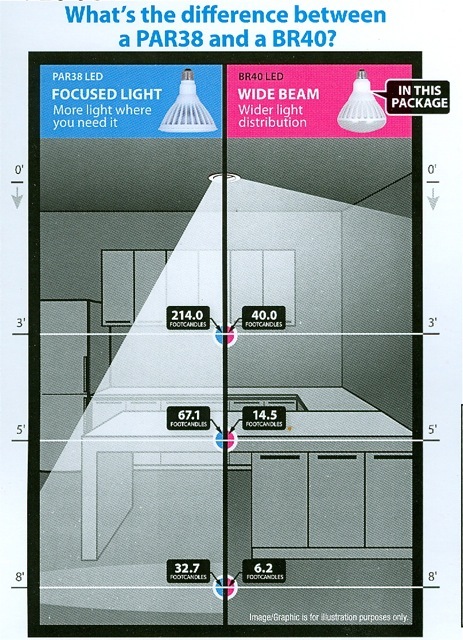 Outside motion sensors can go as wide as a 200° arc. (No, they cannot "see" around corners). (Right) This device is strictly for indoor use only. Lots of hi-tech packed into a familiar package. Outdoor models are also available. Your Web host chose a sensor like this over a toggle switch in his garage to illuminate two four foot fluorescent overhead lights on a short stairway and between two vehicles to provide departure and return navigation lighting without having to fumble toward switches in darkness or leaving lights on while away. Other major overhead fluorescent fixtures in the garage are controlled by traditional toggle switches. 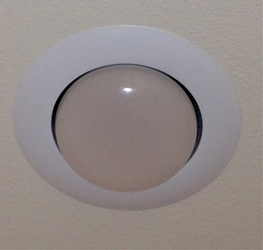 A motion sensor double-necked fixture from Heath/Zenith. 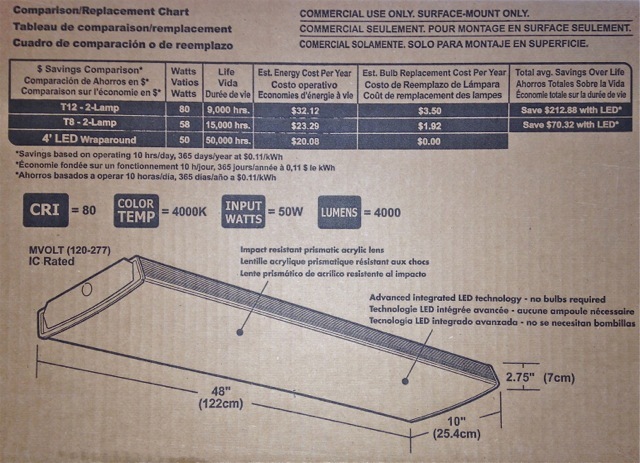 This unit will sense motion outdoors along a 110° arc, has multiple on-time settings, has a daylight lock-out, and can be triggered for full manual use at the switch. The PIR sensor head can be pivoted in all directions, and the sensitivity can be adjusted (horse versus dog, for example). Therefore, one fixture can act as both motion sensor security light and outdoor manual floodlight. But careful, don't use CFL floods, as they take too long to go to full power after tripping. Better to use a Halogen flood in such cases. Dimming switches can reduce the amount of current that lights consume, while still casting a lighted area footprint of illumination. 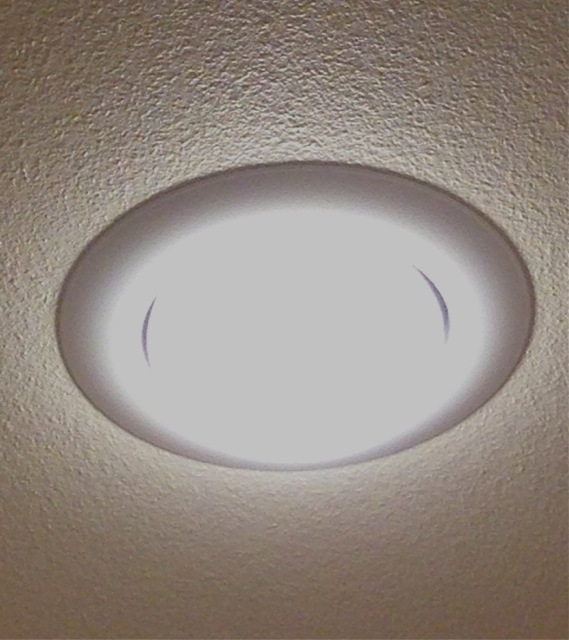 For new construction in California, Title-24 requirements call for dimming equipment to be installed where incandescent or halogen lamps are intended. This gives homeowners the ability to place strong task lighting on an infrequent work or occupancy zone when it's needed, but reduce it the remainder of the time. An added benefit is that running lamps at less than full power tends to lengthen their useful life. As the proliferation of fixtures, lamps, and switches has continued in this age of efficiency, the challenge is specifying lamps that will work with particular dimming switches and vice-versa. Historically, when every lamp was incandescent or halogen, any dimming switch would do the job. Today, it's different. Lamp manufacturers test different dimming switches and tell you on their website what switches work with their lamp models. 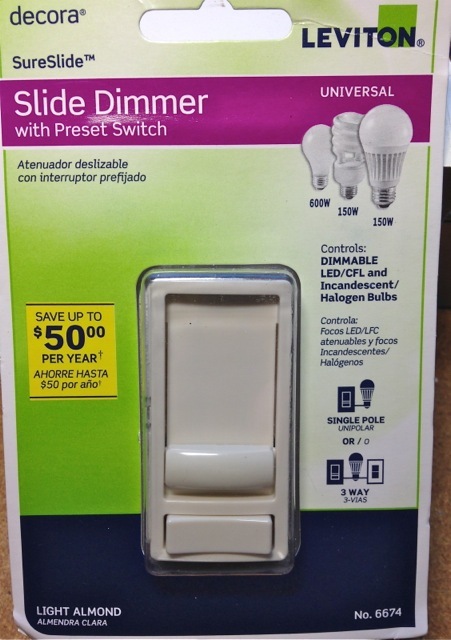 Dimming switch manufacturers perform the same kinds of tests and post their results, too. 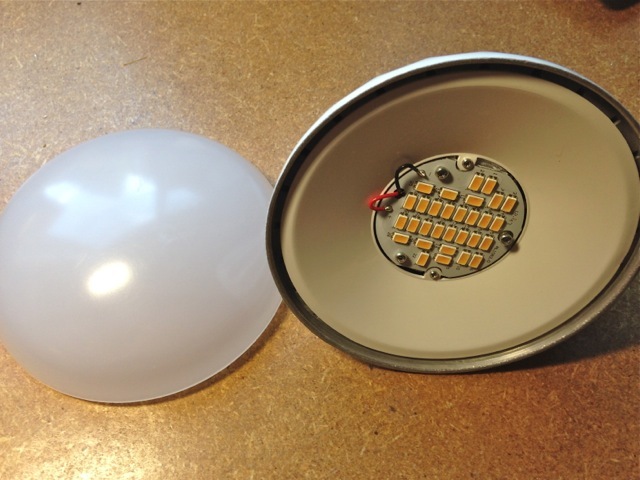 Yep— your web host has found at least one case where the LED lamps he bought were not compatible with the dimmers he bought that the lamp makers said were okay to use. The dimmer manufacturers had tested those lamps and said "No. That lamp failed to operate properly with our switch and that's why it is not found on our approved list." 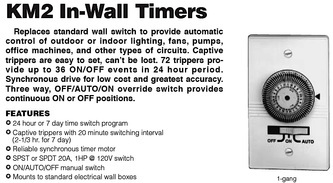 In a previous case before he checked compatibility, his preferred dimming switch (toggle with a small side slide) actually popped, tripped the breaker, and died forever, in front of four people taking a house tour. These days, he checks both manufacturer lists ahead of time. Dimmers, using slide switches and a manual on-off buttons can now be deployed for all LEDs and those CFLs which are rated to operate at variable power. 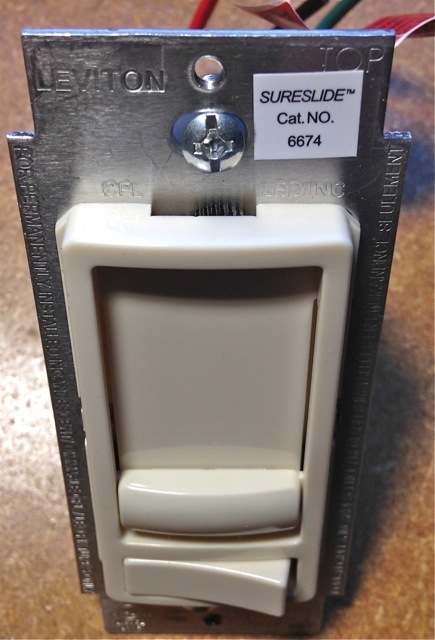 Lamps will be marked "dimmable," and such switches allow user adjustment from 15% up to 100% of full amperage. 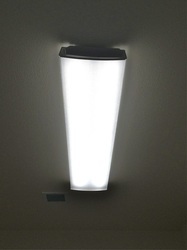 Thus, an already efficient light can be used for different service with a quick adjustment of the dimmer slide. That setting can be maintained and use may continue for as long as desired with only the on-off portion of the switch. 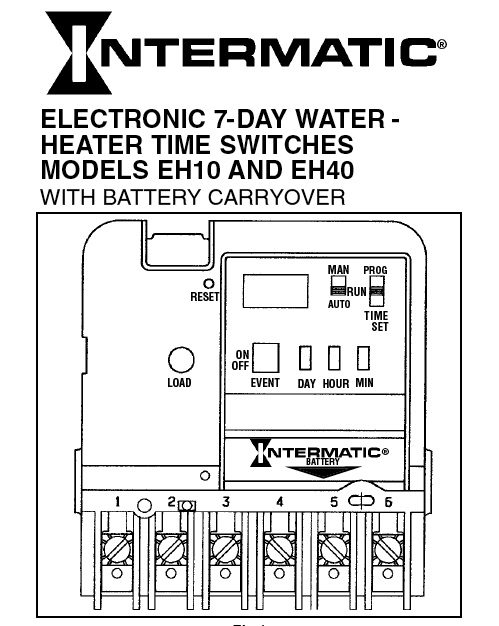 Timing devices have been around for years, beginning with the ones that get plugged into a 110V receptacle in your wall to control lighting and the 220V mechanical water heater timers. Today, the array of timers and their capabilities have expanded. The electronic progression of these devices has brought some helpful new technology at reasonable cost. 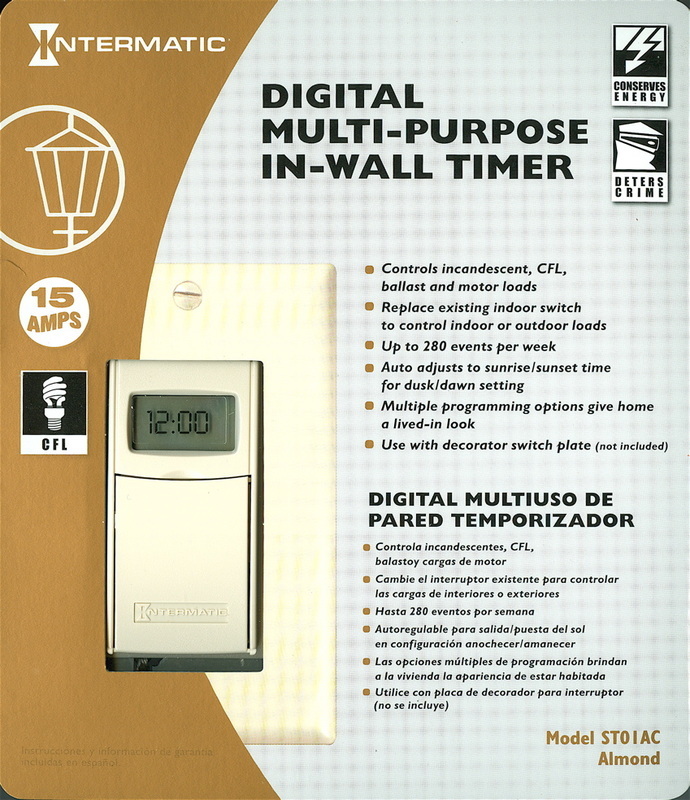 Mechanical timers (which usually feature pin settings for on and off operation) do best with your planned schedule until there's a power outage and the device loses track of time. It becomes late to activate or stop lights or equipment by the length of time it failed to advance during the outage. 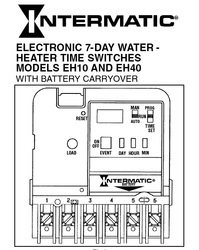 Newer electronic timers usually come with batteries to keep the programming going without a hitch. The power for your light or devices may be missing for three hours, but when power is restored, your clock determined operations will still be on schedule. And many of these electronics have a programmable feature that will advance the schedule, delay the schedule when what you are doing is dawn-dusk dependent, such as outside security lighting. The device KNOWS what time sunset and sunrise are at your latitude. 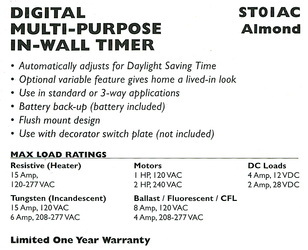 These mechanical and electronic timers allow your to control lights indoors or out. They also allow the control of heavier loads such as refrigerators and hot water heaters, making it more likely you can take advantage of smart meter or time-of-use rate programs from your electric utility. Control of your usage (even when you're not home) could be a money saver on such rate programs that steer you away from use during peak hours. A look at a major electrical utility company's peak profile, circa 1978. Until about this time, U.S. electric consumption was growing at 7% per year (that's a doubling every 10 years). 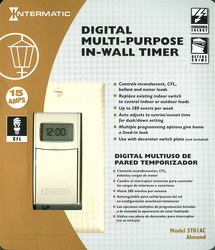 Time of day metering appeared in the mid-80s for residences for the first time. Since then, a greater variety of rates have reflected peak avoidance pricing, and the need for new generation has slackened. 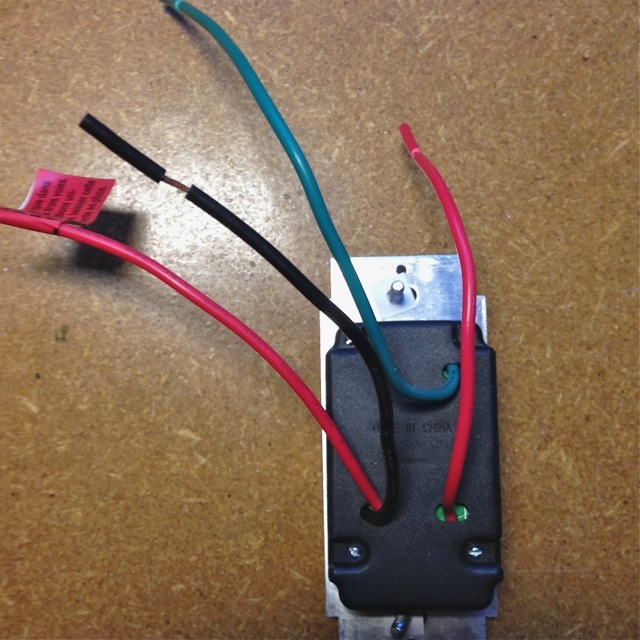 Timing control devices are assuming a greater role in this effort and will save consumers money from the day they are installed.